Do you need a professional siding contractor in Northbrook IL that not only installs top quality siding products but stands behind their work and service? Look no further than Siding & Windows Group. We have completed hundreds of siding installations in the Northbrook and surrounding Chicagoland areas. Siding & Windows Group has the reputation as Northbrook’s leading siding contractor and are recognized as a leader in the siding industry for originality, innovation, and architectural integrity for exterior design. 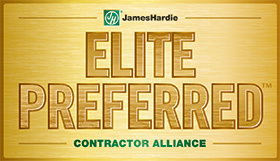 With years under their belts, Siding & Windows Group is proud to provide the Northbrook area with Elite Preferred Contracting by James Hardie siding. As a Preferred Contractor, Siding & Windows Groups guarantees siding installation that will endure nature’s elements. James Hardie is perfect for every home. James Hardie siding is built to last with the highest quality of materials, an authentic design, high performance, and design. No matter the project, James Hardie Siding is build and colored with ColorPlus Technology to fit your home. Siding & Windows Group provides the highest level of experience installing siding throughout the area. Mastic – Mastic siding has pioneered complete exterior solutions for over 70 years. 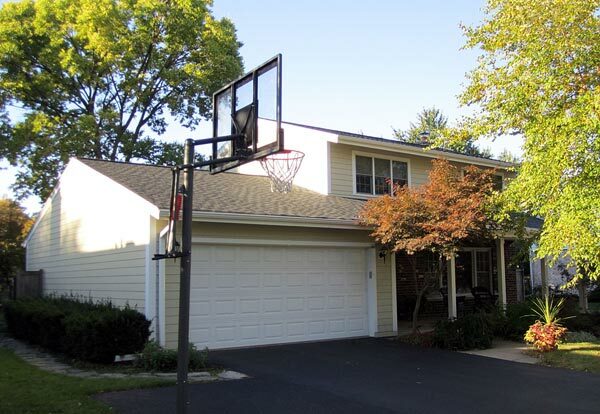 The picture above is a siding project Siding & Windows Group completed in Northbrook IL. We installed beautiful James Hardie lap siding and trim to update this home. Read more about this and other siding jobs we’ve completed here. Comparing siding contractors in Northbrook. The decision to replace the siding on your home is a big investment and comes with a lot of decisions to make. That’s why it’s important to get all of the facts about the different siding options and siding contractors so you can make the right choice about siding for your Northbrook home! You can’t afford not to be picky and not choose the best! Siding & Windows Group, is proud to bring the best quality siding products to the Northberook area, including James Hardie siding. To learn more about the benefits of this top-quality fiber cement siding product, click here. Siding & Windows Group is the premier Northbrook siding contractor that’s committed to offering only the highest quality products with the best customer service and professional installation. Click here to receive a free estimate for your Northbrook siding project from Siding & Widows Group! Allow one of our siding professionals to visit your home, listen to your project needs and answer any questions you may have. Siding & Windows Group did an excellent job for us. We are very pleased with the quality of the job performed and the attention to detail. They completed the job in a timely manner and at a reasonable price. They were professional, responsive, and great to work with. – Mark F.
Click here to read more siding testimonials from homeowners in Northbrook and other Chicago areas.